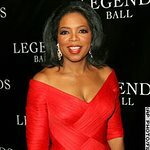 Oprah Winfrey is to hold a special auction to raise funds for the Oprah Winfrey Leadership Academy Foundation College Fund. Offering antiques, contemporary furnishings, and fine art from Ms. Winfrey’s residences in Indiana, Hawaii, Chicago, and Santa Barbara, as well as items from the “La Quinta” estate and from various properties of Bob Greene. Proceeds from the sale of all lots belonging to Oprah Winfrey will benefit the Oprah Winfrey Leadership Academy Foundation College Fund. The fund is dedicated to helping graduates of The Oprah Winfrey Leadership Academy for Girls — South Africa attend colleges and universities around the world. Among the auction lots are items from the film The Color Purple, as well as electric bikes, dolls, furniture and much more. For more information call 978-522-5522, or click here.